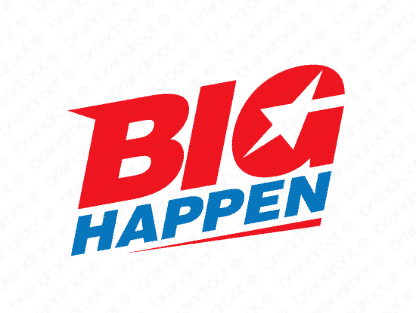 Brand bighappen is for sale on Brandroot.com! Two correctly spelled words meshed into one exciting phrase, this name is dripping with intrigue. What could it be?! The way it's constructed will leave audiences curious to find out more. You will have full ownership and rights to Bighappen.com. One of our professional Brandroot representatives will contact you and walk you through the entire transfer process.